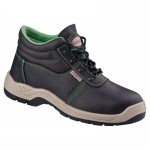 Protective work footwear to be used at various production sites is designed to protect workers’ feet from falling or perforating objects, low or high temperatures, wet and slippery surfaces or aggressive chemicals. 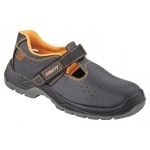 Protective footwear is often made of genuine leather and synthetic materials. 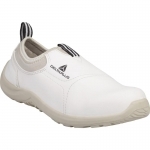 Anti-slip, antistatic and oil resistant dual density PU material is often used for outsole production. Many of protective footwear models have metal or composite toe caps and puncture resistant mid soles. 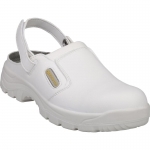 White safety foot wear is usually produced for food and pharmaceutical industries. 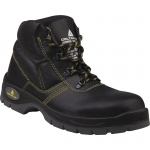 Here you can buy the following safety foot wear: safety sandals, shoes and trainers, boots, rigger boots and waterproof PVC boots. The right selection of work protective footwear is very important for feet comfort as well as for workers’ safety at production sites. 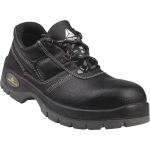 Safety footwear shall be of the right size and provide the kind of protection needed. 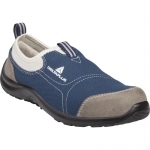 Producers of work footwear pay attention lately to modern attractive look of their products. 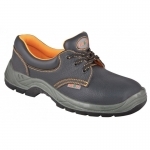 Purchasing good work footwear is no more a hard task in Ukraine. Lately production of more up to date protective footwear started inside the country plus supply volumes of footwear produced by bigger European companies grew substantially. New safety standards adopted in Ukraine also force owners of industrial enterprises switch from usual in the past “juft-kersey” boots to safety footwear that meet requirements of the current standards. 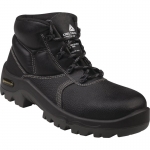 Now it is easy to buy work boots, rigger boots, shoes, sneakers, sandals of various protection level, design and price. 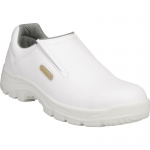 The protection that work footwear provides could be read easily. Very often leather footwear has the following marking: О1, О2 or О3 (footwear without protective toe cap, according to EN347-1 / EN ISO 20347) and S1, S2 or S3 (footwear with protective toe cap, according to EN345-1 / EN ISO 20345). 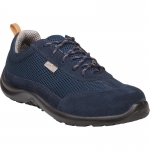 Footwear shall have the following characteristics to meet the requirements of О1 level: closed back, hydrocarbon-resistant sole, anti-static, energy absorbing heel. 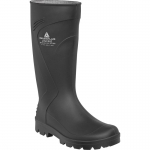 Additional requirements for О2 level: waterproof, and О3 adds puncture resistant and studded sole. Accordingly to meet the requirements of S1 level footwear shall have the following characteristics: safety toe cap designed to withstand a maximum impact of 200 joules and crushing of 15 кN, closed back, hydrocarbon-resistant sole, anti-static, energy absorbing heel. Additional requirements for S2 level: waterproof, and S3 adds puncture resistant and studded sole. 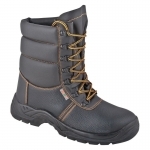 Low temperatures insulated footwear is marked by «CI». 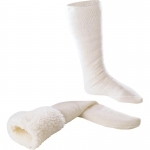 High temperatures insulated footwear is marked by «HI», resistance to slipping on all types of hard floors is marked by «SRC». Protective toe caps can be made of steel, aluminum or composite. Toe cap’s main task is to protect toes from injuries when heavy objects fall. No matter what material is used for toe cap production it shall withstand defined by the standards tests. 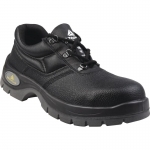 Ukrprofzahyst company is a specialized distributor of safety footwear produced by Delta Plus and Bicap. 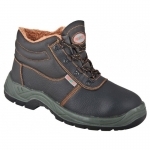 Turning to Ukrprofzahyst will let you buy safety sandals, shoes, boots, and rigger boots as well as receive a qualified help on their selection. 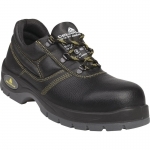 Ukrprofzahyst internet shop offers high quality work foot wear. You can order and purchase protective shoes or boots in retail or wholesale quantities with delivery within Kyiv and Ukraine.